Antes de poder disfrutar de uno de nuestros estupendos vinos de Jerez, este tiene que recorrer un largo camino. La primera parte de ese largo camino ocurre en la viña donde la vid nace, crece y se desarrolla hasta ofrecer los perfectos racimos de uvas. Las labores y faenas que se realizan en la viña son muchas. Hoy os recomendamos este precioso blog, http://rusticando.org . Diario esporádico de una viña gaditana. Rusticando publica unas fotos preciosas de la viña, y nos va narrando todo lo que cuenta Curro, un hombre que la vive y la trabaja desde siempre. Sus descripciones son lo que son, a veces poesía pura. Before we can begin to enjoy one our fantastic Sherry wines, it has to travel a long road. The first part of that journey occurs in the vineyard where the grapevine is born, grows, and develops until it can offer us those perfect bunches of grapes. The tasks and techniques that are applied in the vineyard are many. 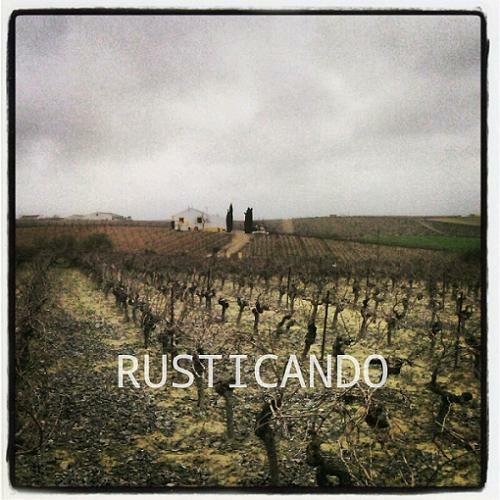 Today, we are recommending that you take a look at this amazing blog: http://rusticando.org . It tracks the progression in growth of some Cadiz vineyards. 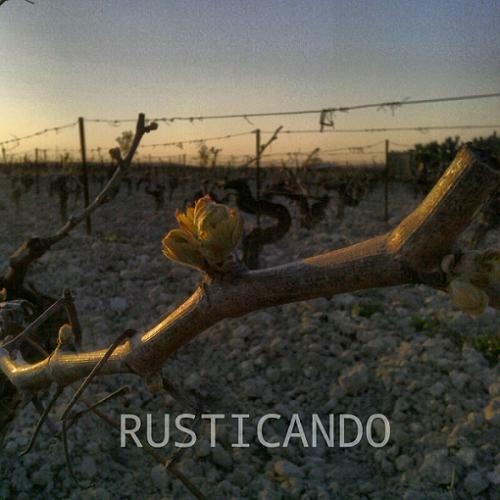 Rusticando publishes some beautiful photos of the vineyard, and it narrates the comments of Curro, a man who has lived and worked there forever. His descriptions are very candid, and sometimes they are pure poetry. This photo was taken on the 8th of February…on a rainy day…in a vineyard which has yet to be pruned… with remnants of foliage still on the ground…. Una foto mas reciente. La viña despertando. Eso son los futuros racimos. De cada yema salen dos. A more recent photo, with grapevines that are awakening. Those are the future grape bunches, and out of each bud there will sprout two of them.